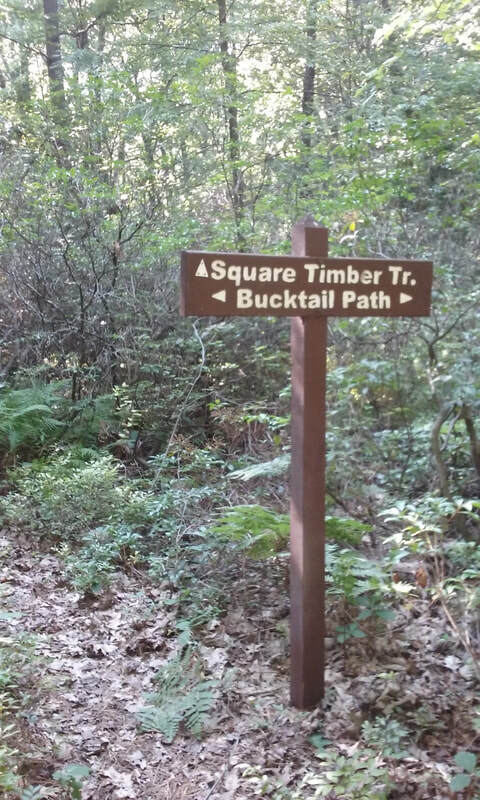 ​The Bucktail Path is a rather unknown backpacking route that is well-suited for experienced hikers. This end-to-end path leads from Sizerville State Park (near Emporium) to Sinnemahoning for 33.5 miles. Although this path mainly follows old railroad grades to climb and descend the mountains with relative ease, it gets little use and can be difficult to follow. Highlights include the Brooks Run Fire Tower, beautiful mountain streams, solitude, and a plethora of wildlife (this is elk country!). The first and most important lesson for the Bucktail Path: Mind the blazes! At times, the trail relies solely on orange blazes and signs, rather than a defined tread way. This can make the hiking taxing. Navigation can be challenging, especially during the summer months. Luckily Keystone Trails Association volunteers and Elk State Forest have been working on this trail. 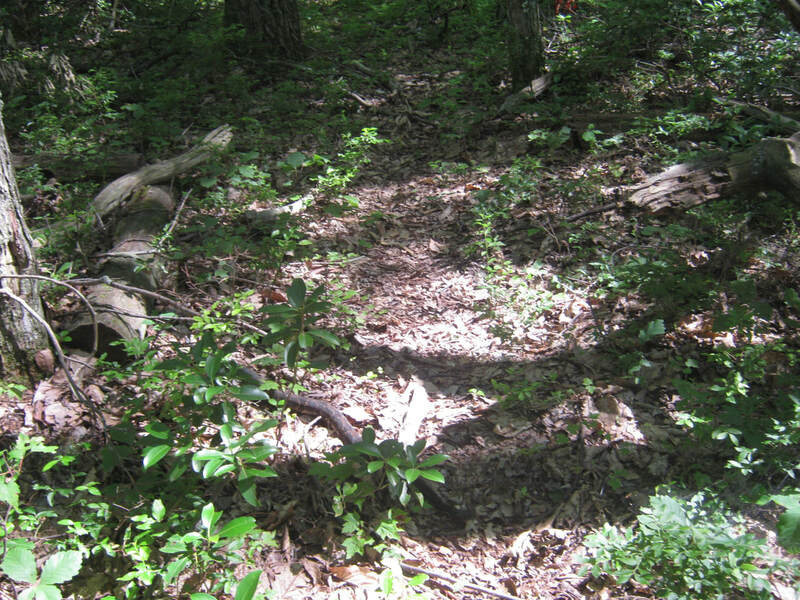 Currently, trail blazes are frequent and bright.This trail quickly becomes overgrown in the summer months, so wear pants and long sleeves! Also beware that it is very difficult to night hike along the Bucktail Path. Lesson Two: Although this area seems very remote, there are plenty of well-worn forest roads that cross the Bucktail Path. Section hike options do exist. Most hikers who tackle the entire 33.5-mile route set aside 3-4 days for this trail. Generally speaking, an experienced hiker who can hike 10-15 miles per day will have an enjoyable 3-day weekend on the Bucktail Path. A 4-day hike is an option, but beware that there is no water for the southern 10 miles of trail. 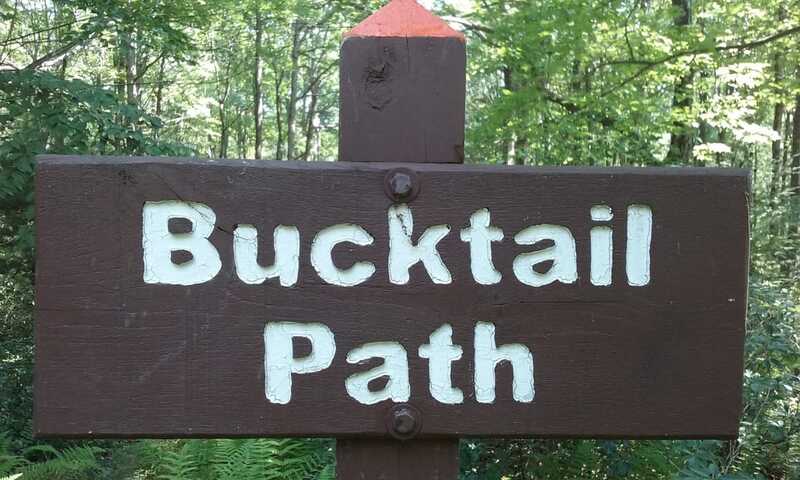 A 1 or 2 day journey of the whole Bucktail Path is possible, but daunting. 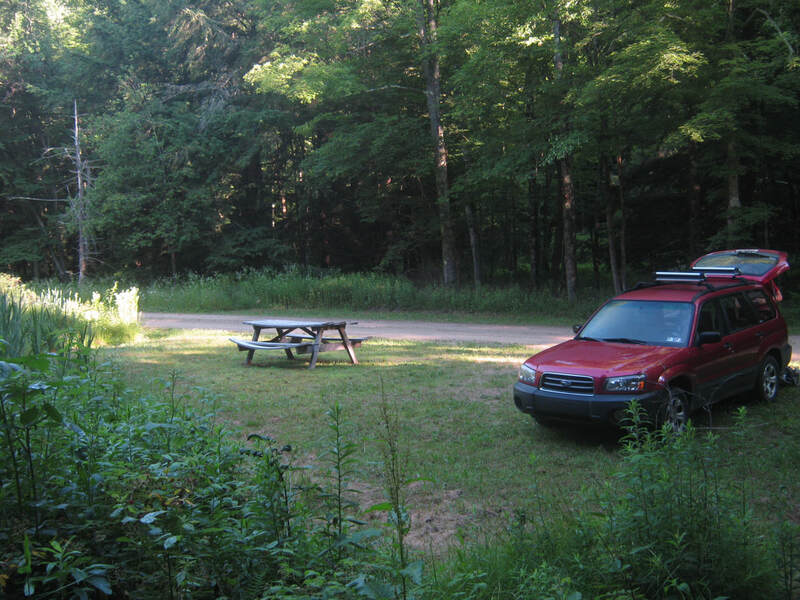 Lesson three of this path is to expect primitive campsites. 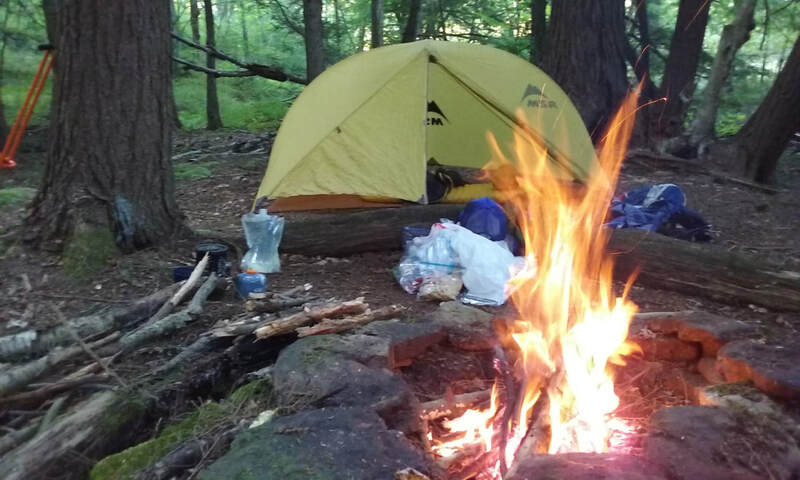 While there are a small number of well-used campsites located throughout this path, there are less established sites here than most other trails in PA. You may need to make your own campsite, so keep an eye out for flat spots to sleep! ​Lesson Four: Wildlife! Most animals in this forest fear humans. With that said, there are bigger and badder animals out here then some hikers realize. Real animals that may be seen in this area include: coyotes, black bear, fisher, elk, rattlesnakes, and many other less terrifying species. Generally speaking, these animals will not bother you as long as you don’t startle, touch, or step on them! Please treat these creatures of the forest with the utmost respect. Hikers should assume that ticks are all along the BP most times of the year. Ticks are nasty little creatures that transmit several diseases to humans. 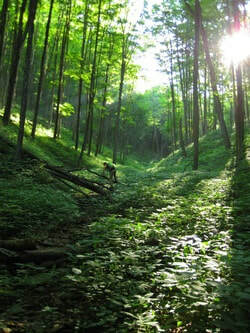 It is suggested that all hikers check their whole body at the end of every day of hiking. Lesson five: side trails! There are several miles of side trails in Elk State Forest. Square Timber Wild Area is just west of the BP. This area is very close to the West Branch of the Susquehanna River and Bucktail State Park Natural Area, and is known for its very steep ridges. Johnson Run Natural Area is at the southern end of the BP and is composed of old growth hemlock and hardwood trees. 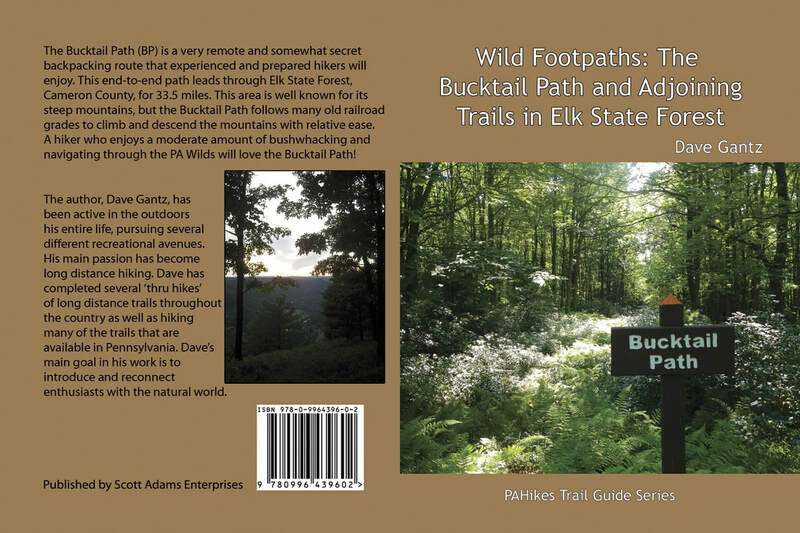 To the east lies the Pepper Hill Trail System and the Brooks Run Division of Elk State Forest. Some of these side trails offer alternative backpacking options and/or bail-out options from the Bucktail Path.